Home / News / PREVIEW: Charnwood College face Barking Abbey in EABL Finals! The stage is set for the EABL Finals this week, as Charnwood College face Barking Abbey at the Essex Sport Arena on Wednesday April 3. Lets take a look at the two teams ahead of their championship game to see who’s got what it takes to be crowned this year’s EABL Champions! 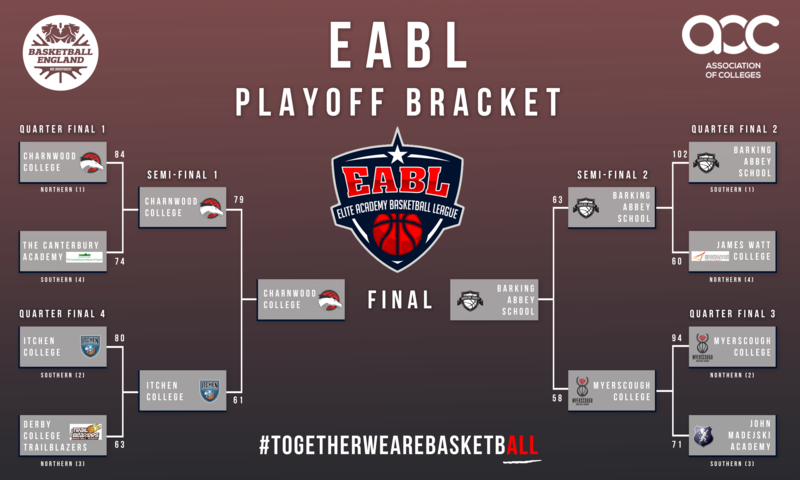 In the championship game of the 2018-2019 EABL season, Charnwood College Riders will face Barking Abbey School at the Essex Sport Arena on Wednesday April 3, In a rematch of the 2016-2017 EABL Finals which saw the Riders loose to the London-based academy 82-65. The still undefeated Riders make it to this years Finals after taking down Itchen College in the Final 4 round last week where despite struggling to find there rhythm early on, Charnwood stepped up defensively to keep Itchen’s scoring to a minimum. Big man Hosana Kitenge led the home team with some great scores inside as they pushed the lead into the second half, with some great ball movement helping them to a 18 point victory. Kitenge led all scorers with 23 points whilst EABL MVP Niall Harris had 22 points, and Blaize Sagna chipped in with 16 of his own. Head Coach Will Maynard will no doubt look for the trio to contribute some big performances when the Riders head into their Finals match-up on Wednesday. 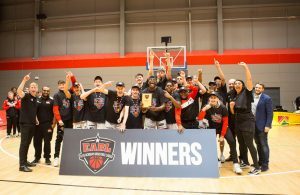 Barking Abbey will be heading into Wednesdays championship game in search of a three-peat as they make it to yet another EABL Finals. 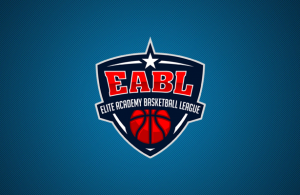 The reigning EABL champs will look to retain their title for the third straight year after taking down coach Neal Hopkins and Myerscough Academy in the semi-finals last week. The Final 4 round was a back and forth affair that provided a competitive game, good for the neutral as neither team got a firm grip throughout. Despite Myerscough entering the final period with a 51-50 lead, they were held to just 7 points in the quarter through some strong defense from Abbey where in the final 90 seconds, Chris Feeney found his range for three and Spyros Kapsalos scored from an inbound play with 22 seconds to go to seal the game. Jonathan Brown lead Abbey in scoring with 18 points joined in double figures by Kapsalos with 14, and Robin Bedford with 10. Coach Lloyd Gardner will no doubt hope for these performances to continue on Wednesday, when they head to the University of Essex to defend their title. ← Previous Story Niall Harris and Ethan Price win EABL MVP awards!